First Look at Season 14! New to Seasons – Themes! 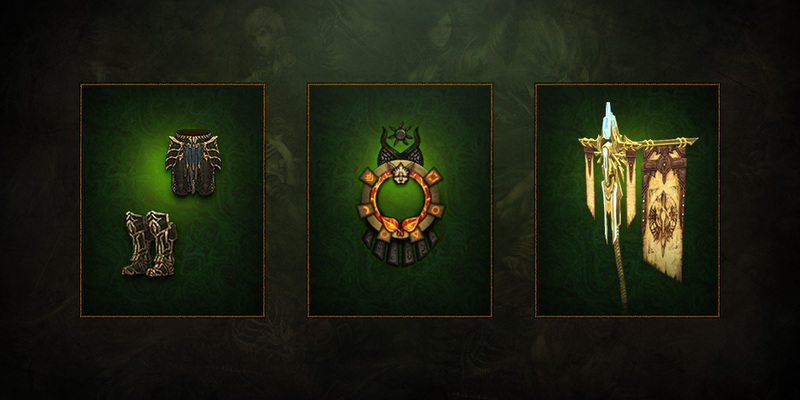 Also Rewards, Sets, and Conquests. Lastly, we have been given an estimated end date for a season for the first time! 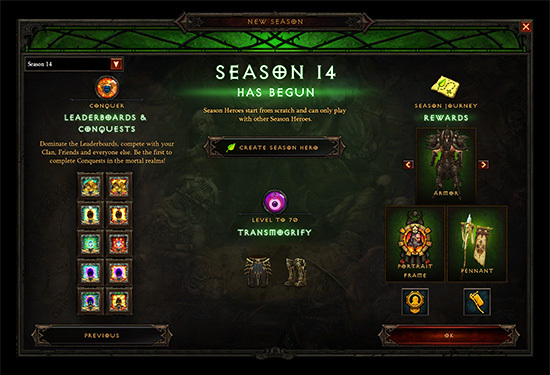 We currently anticipate that Season 14 will be ending on Sunday, September 16 at 5:00 p.m. PDT in North America, 5:00 p.m. CEST in Europe, and 5:00 p.m. KST in Asia. Our dear Leviathan has made a video going over some key points listed along with some thoughts on the Theme itself. For more information and images of cosmetics, see the official post below for all the good information. Speaking of Conquests, we’re rotating those, too! Returning for the Season of Greed is Avarice and Avarita, where every gold piece you find will count! 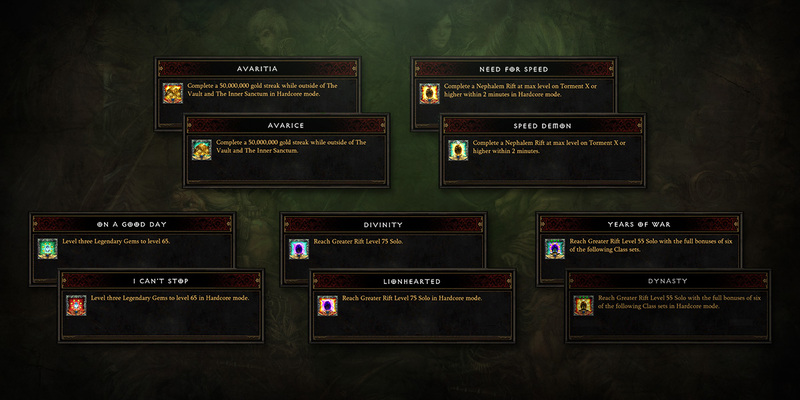 Speed Demon and Need for Speed will ask you to kick it into full gear in your Nephalem Rift runs. On a Good Day and I Can’t Stop will congratulate high ranking Legendary Gems. 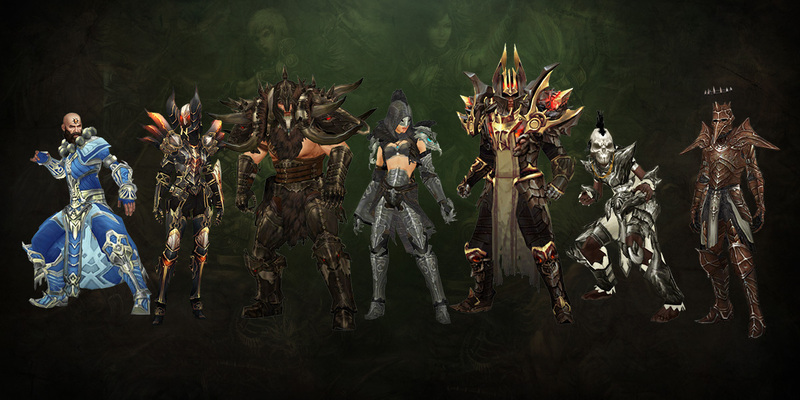 Finally, for the solo crowd, Divinity and Lionhearted will ask you to climb Greater Rift heights by your lonesome, while Years of War and Dynastychallenge your game mastery of at least six classes. 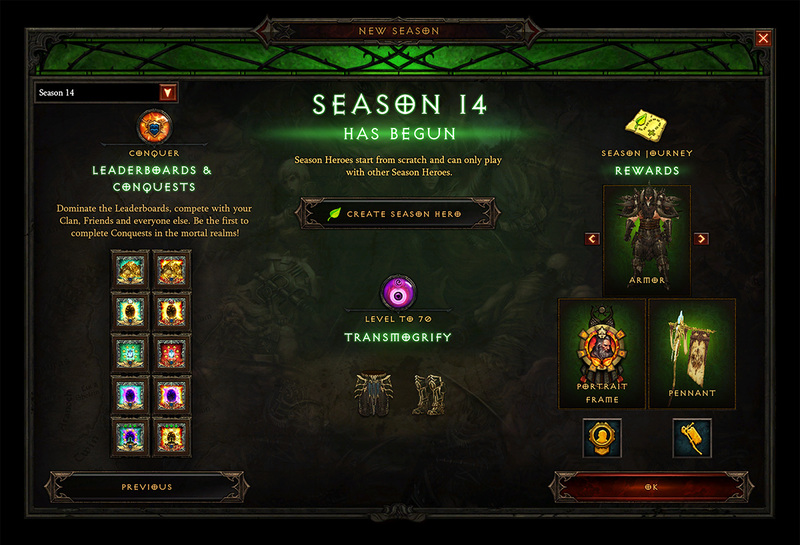 Let us know in the comments below and we’ll see you for the start of Season 14!